Late Model, Legends Car, Stock Car, Bandolero. 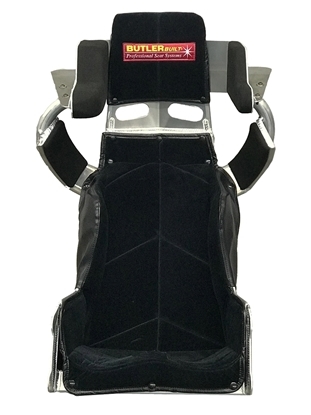 A 20° layback ProSportsman Plus (custom or standard size) with the Sportsman Advantage Head & Shoulder Kit mounted & bolted to the seat is a safe and affordable option for asphalt and dirt late models, stock cars and modifieds! 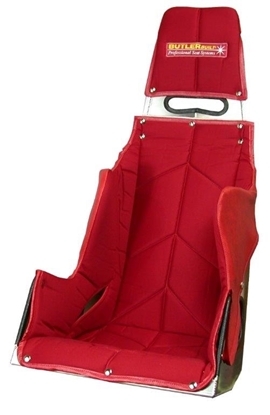 Nearly every ProSportsman Plus seat we sell is full-containment. We will need your driver's measurements for head and shoulder support mounting. See button below for measurement guide or click here. 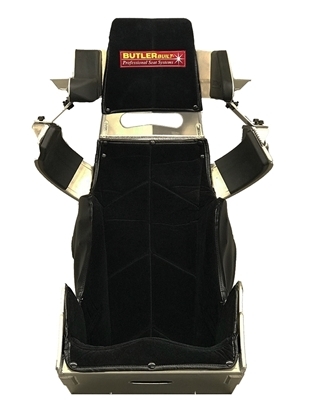 When placing order, email completed driver measurements to sales@butlerbuilt.net. 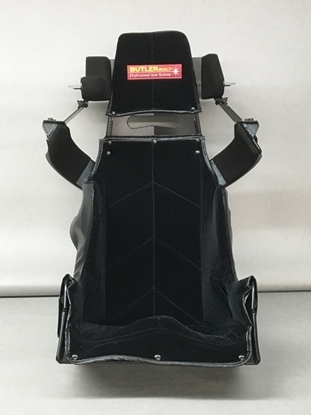 A 20° layback ProLegends Plus (custom or standard size) with the Sportsman Advantage Head & Shoulder Kit mounted and bolted to the seat is a safe and affordable option for legends cars as well as asphalt and dirt stock cars, late models and modifieds! Nearly every ProLegends Plus seat we sell is full-containment. Don't forget to purchase the Sportsman Advantage head and shoulder kit when ordering!